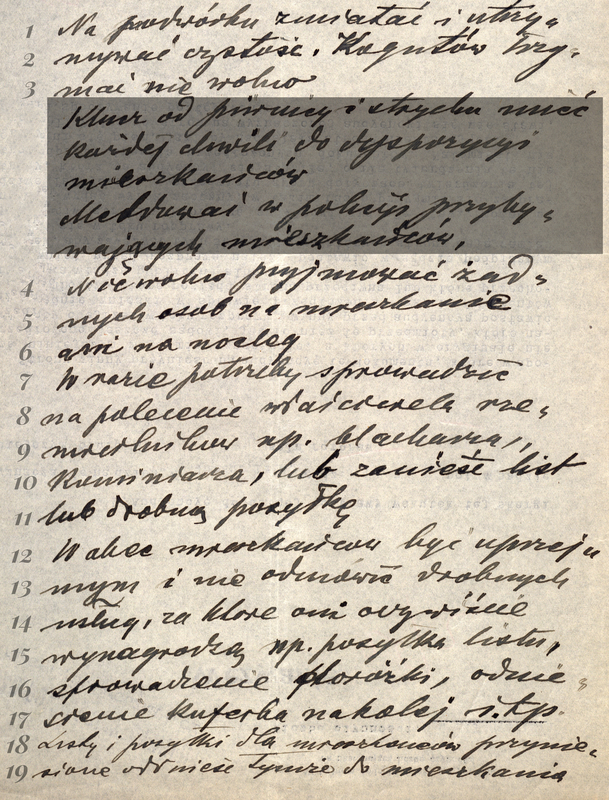 A list of activities related to the station of the caretaker of a Krakow tenement house on 12 St. Jana Street (today the headquarters of the Appreciation Society of Krakow's History and Monuments), written by Dr. Klemens Bąkowski, a barrister and the owner of the tenement house. Among the responsibilities of the caretaker, the following were listed: sweeping and clearing the pavement in front of the tenement house, lighting gas lamps, washing the stairs, hanging up flags for ceremonies and "being polite" to residents. In addition, the caretaker was banned from having hens.